We don't support company accounts, but you can have your employees sign up in their own names and use the company card to pay for trips. All accounts must be in the name of a person, with their driving history, credit check and licence details provided as part of the account verification process, so we can't set up company accounts. If only one or two employees need to drive, have them sign up as members and use a company credit card as the payment method. If multiple people will be driving and you don't want the company card attached to all accounts, have one person's account as the designated 'car booker' and have them book all work-related trips. 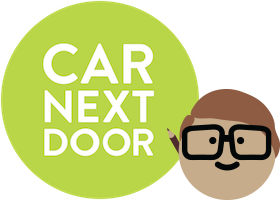 Other employees with an approved Car Next Door account can then drive on the booking. All drivers must have an approved account in their own name. If you allow someone to drive a car without being approved by us in advance, there is no insurance coverage and your account may be cancelled for breaching the Membership Agreement. Car Next Door currently only provides monthly invoices. The cost breakdown of each trip is available in the member's account after billing, but a formal invoice won't be sent until the following month. You can only book one car at a time under each account. If you need more than one car at once, you will need to book from separate accounts.